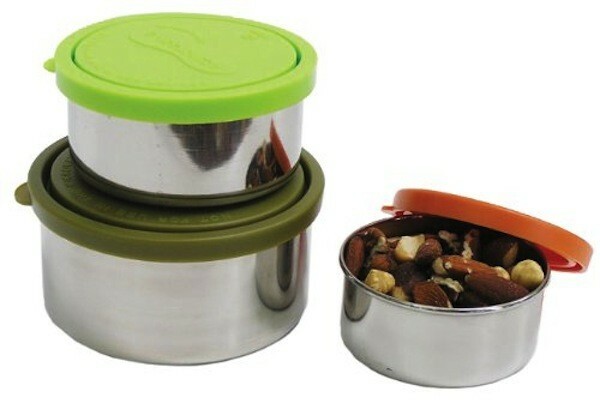 An alternative to plastic snack baggies, this set of 3 recyclable stainless-steel containers is ideal in lunch containers, purses, or backpacks. Tested by a CPSIA accredited testing laboratory, the containers are free from BPA, lead, and phthalate. 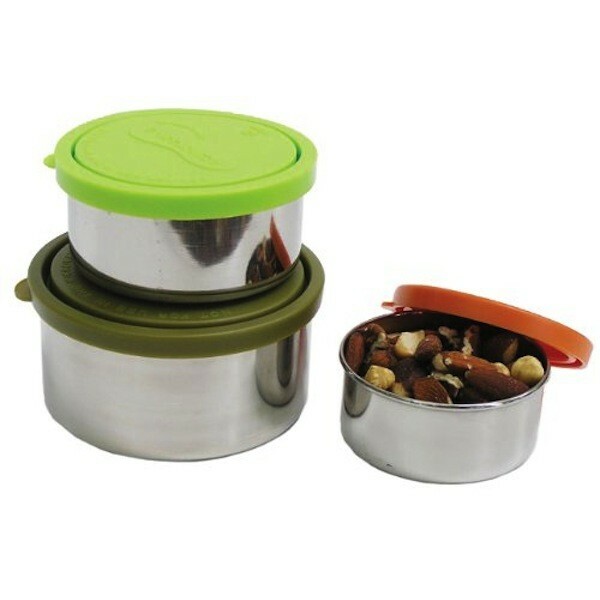 Made from 304 food-grade stainless steel, the containers are sized to nest inside one another for easy storage. The larger, 16-ounce container measures 4-3/4 by 2-1/4 inches; the medium 8-ounce container measures 4 by 2 inches; the small 5-ounce container measures 3-1/2 by 1-1/2 inches. Tight-fitting lids are leak proof. The containers are ideal for storing cut sandwiches, sliced veggies, nuts, berries, goldfish crackers, cookies, hummus, and more.